So, one of the biggest mistakes is under estimating the size of your move! The size of your move directly affects the team & materials you’ll need to make the move happen. Plus, by not scoping out your move correctly initially you could end up spending more money than needed! The difference, my good friend, is what could end up saving you countless hours & a fair few quid! So, picture this: You’re eyeing up your move & thinking you’re probably going to get away with getting everything in to one van. Cool, optimism – I like it. But what happens if that finger in the air technique isn’t right & you’ve miscalculated? If you under egg your move & go with a man with van service you could be leaving yourself short & even worse risking having to book another job to collect what they couldn’t to begin with! Man with van – They’re great for smaller & quicker jobs. They keep costs down & they pretty much do what they say on the tin. However, they can leave you a little bit stuck when you’re planning rather larger jobs. Want to know a little bit more about exactly how a man with van could help you? Check out our man with van service page here! Removal team – Hiring a removal team for your job will ensure you’re getting everything sorted, first time. The perks of hiring a removal team is that you’re safe in the knowledge that you’r job won’t be rushed, or partially completed. You will get a dedicated removal manager who will keep you informed all the way through your move & more importantly you will be left safe in the knowledge that everything is taken care of. Want to know a little bit more? Check out our removals Preston service page here! Now, don’t get us wrong, that doesn’t mean that any one service is better than the next! What it simply means is that both are very suitable for different jobs! Simple! 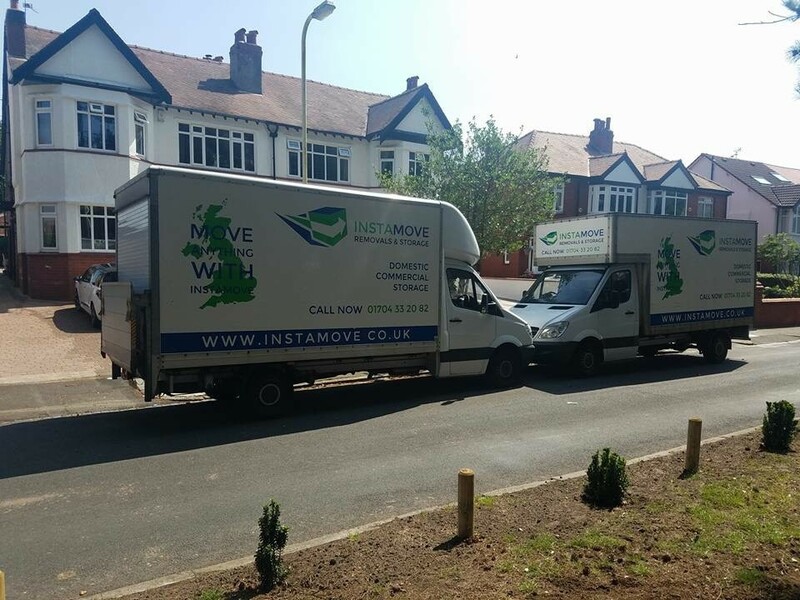 If you’re planning a removal in Preston (or anywhere around the UK in that case) we would suggest for you to always get a free quote from a removal company. They will be able to come & fully scope out your move for you. By doing this they can be best placed to inform you around the best service for your job & recommend any key extras such as packing materials. Plus you negate any risk around leaving yourself short or paying too much for a service! Want to know a little bit more about how Instamove can help make your move seamless? Get in contact with the team today for a free, no obligation quote here!